We examine a parameterized complexity class for randomized computation where only the error bound and not the full runtime is allowed to depend more than polynomially on the parameter, based on a proposal by Kwisthout in [15, 16]. We prove that this class, for which we propose the shorthand name PPPT, has a robust definition and is in fact equal to the intersection of the classes paraBPP and PP. This result is accompanied by a Cook-style proof of completeness for the corresponding promise class (under a suitable notion of reduction) for parameterized approximation versions of the inference problem in Bayesian networks, which is known to be PP-complete. With these definitions and results in place, we proceed by showing how it follows from this that derandomization is equivalent to efficient deterministic approximation methods for the inference problem. Furthermore, we observe as a straightforward application of a result due to Drucker in  that these problems cannot have polynomial size randomized kernels unless the polynomial hierarchy collapses to the third level. We conclude by indicating potential avenues for further exploration and application of this framework. Research for this paper has been funded through NWO EW TOP grant 612.001.601. 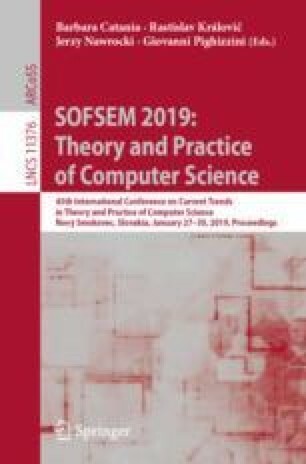 The author thanks Johan Kwisthout and Hans Bodlaender for sharing insightful remarks in his discussions with them, and also Ralph Bottesch for providing useful comments on an early draft of this paper.